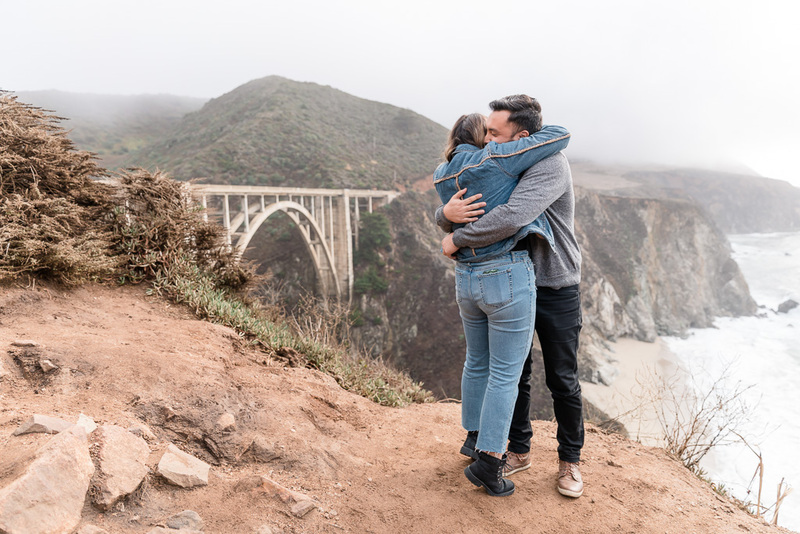 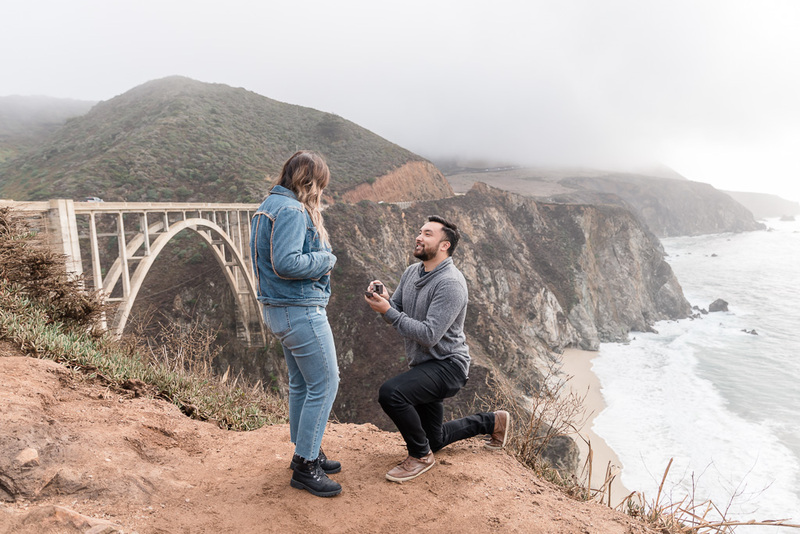 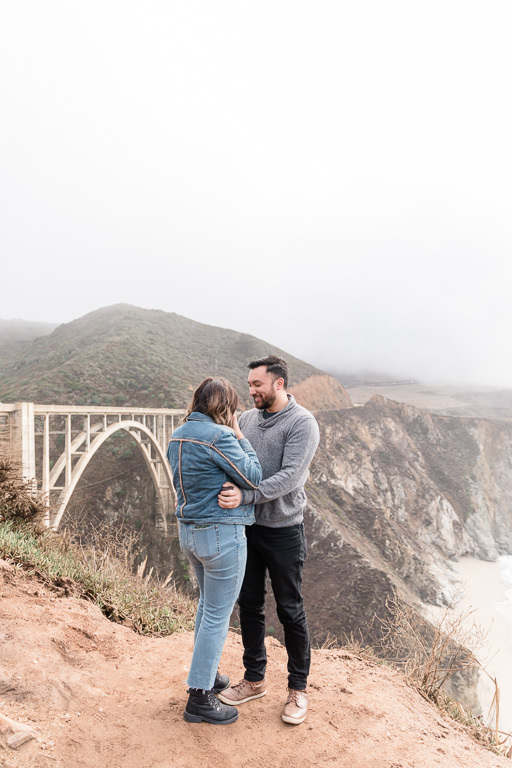 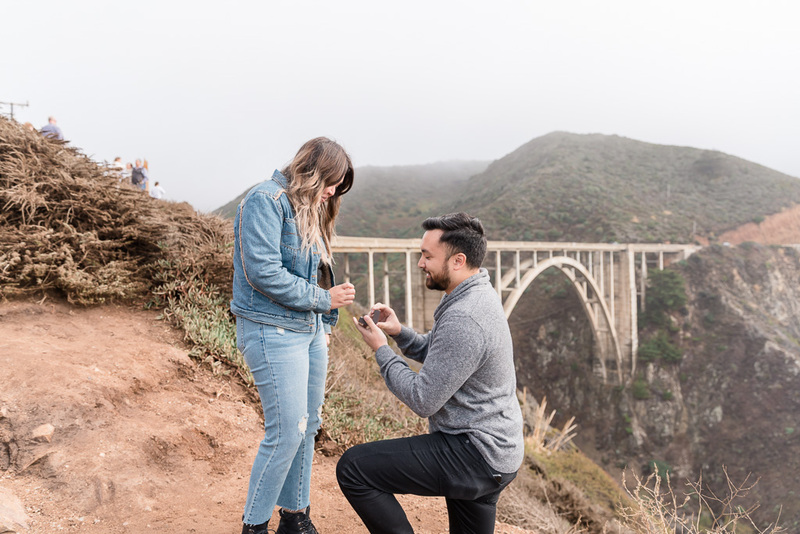 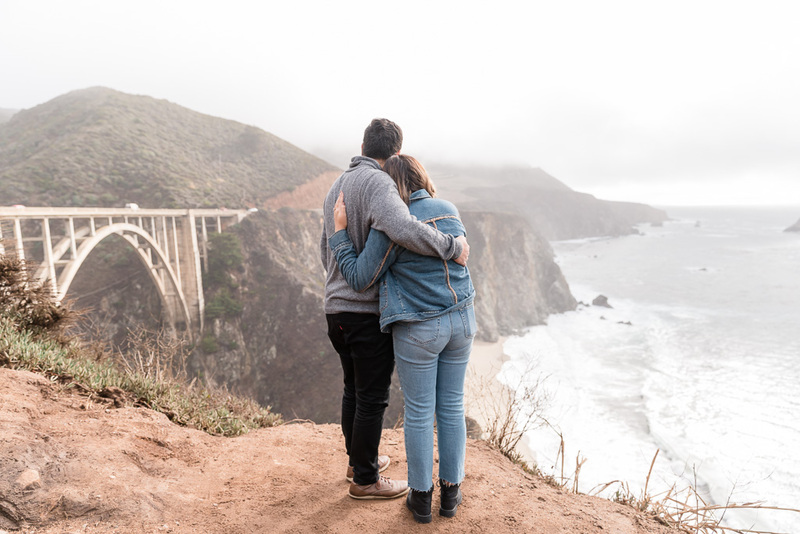 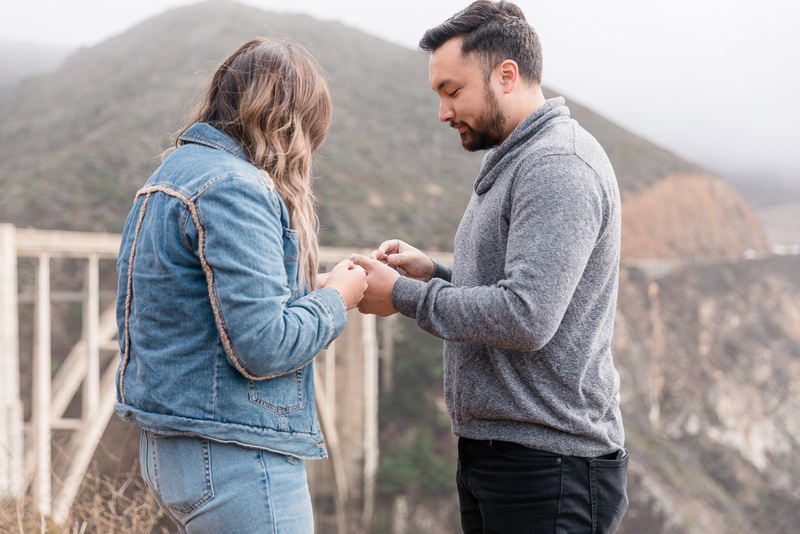 Brandon had planned to propose to his girlfriend Jacquie while on a roadtrip down the Pacific Coast Highway, which is perhaps the most scenic route in all of America, and he picked out Bixby Bridge as the place to do it. 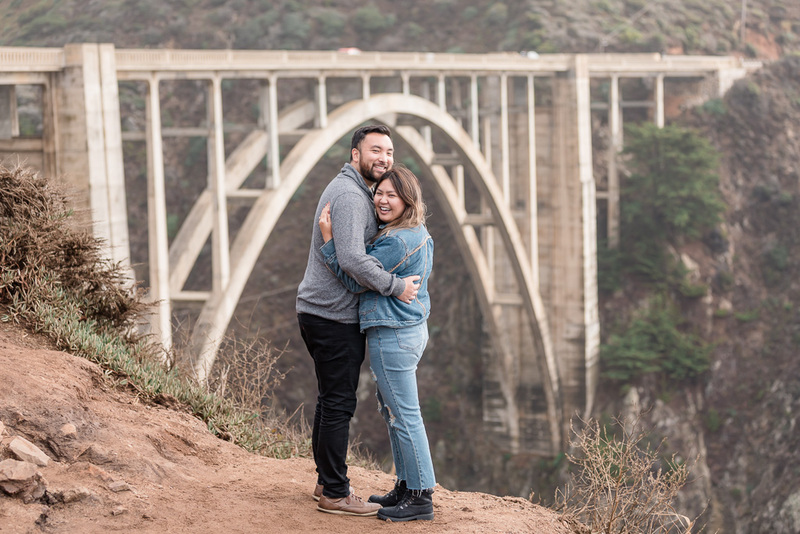 It’s one of the most recognizable and beautiful landmarks along the route, not only because its arch construction is aesthetically wonderful, but also because of the sheer cliffs and sweeping ocean view to the west. 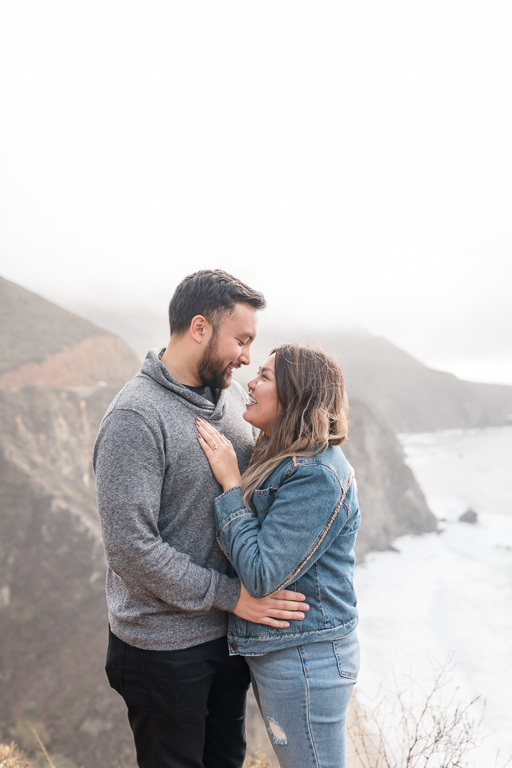 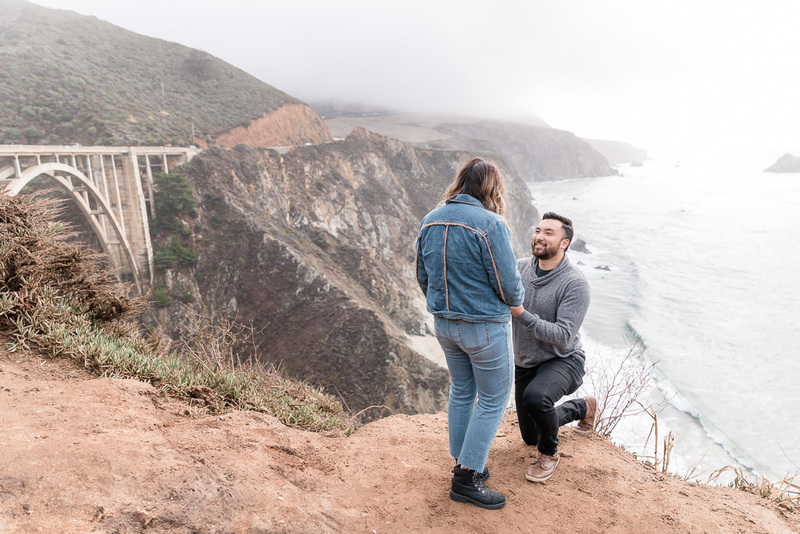 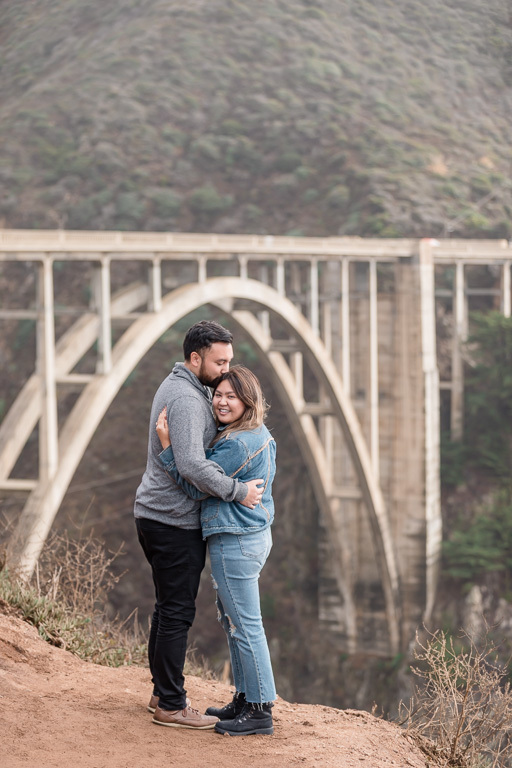 We spent almost an entire day on the road to photograph this Bixby Bridge surprise proposal, and we’re excited to share some photos. 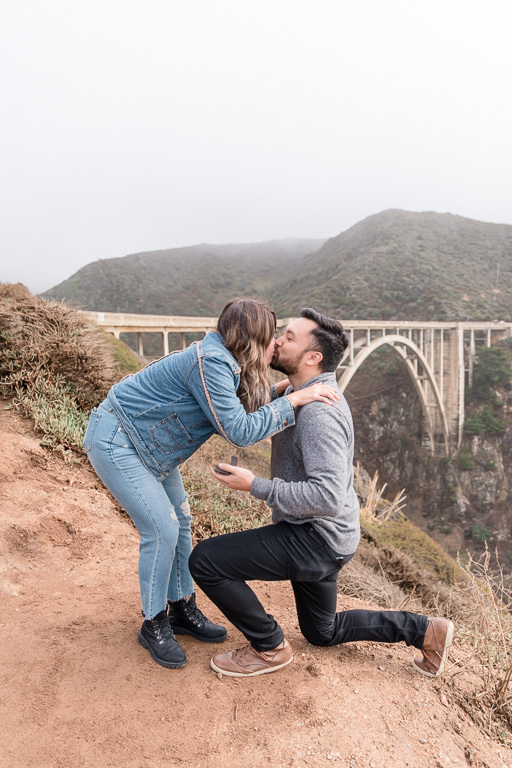 Brandon picked the perfect little lookout point to pop the question, too!